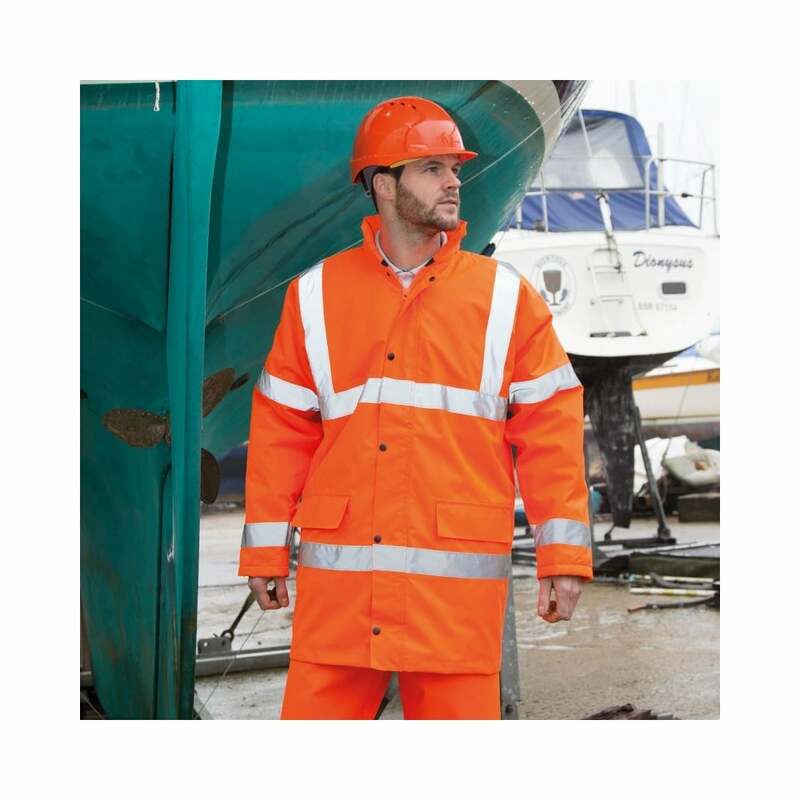 Result Core Safety High-Viz Coat this is a perfect piece of out door work clothing as its tough and durable. It has been made from a coated Oxford polyester and has fully taped seams, It is wind proof and water proof and has a concealed hood in the collar. 2 hi-viz colours available. S 38" M 41" L 42" XL 47" 2XL 50" 3XL 53"